Free radicals are highly unstable chemical compounds that force other compound to either accept or give up an electron or a proton. We use free radicals to make plastics, glues and bleach. Unfortunately, free radicals cause these same reactions inside our bodies. Skin becomes brittle like plastic, arteries fill with plaque like glue and hair turns grey, white or falls out completely… that’s bleach. The most detrimental free radicals in the body are superoxide, hydrogen peroxide and hydroxyl radicals. Because the three antioxidants necessary to quench these three free radicals (superoxide dismutase, catalase and melatonin) do not survive digestion well, Rejuvelon offers them in a suppository. As we our cellular ‘engines’ cells mis-fire and create superoxide radicals. By the time we are elderly, cells misfire as much as 2% of the time. A single cell recycles ~10 million ATP molecules per second. At 2% a single muscle cell will generate 200,000 superoxide radicals every second. Multiply that by the 40 trillion cells in our bodies, this means that and older person can make some 800 quintillion superoxide radical per second. That’s an 8 with 18 zeroes after it. We can see this process in its early stages as wrinkles in the skin. Our white blood cells make hydrogen peroxide to fight infections and our peroxisomes make hydrogen peroxide to detoxify chemicals. If you have a build up of chronic low grade infections in the tissue and unresolved toxicity, you may be making more hydrogen peroxide than your body can remove. You may notice this process in its early stages as grey or white hairs. Melatonin not only quenches the hydroxyl radical, it also is important for a deep restful sleep. If you aren’t getting a good night’s sleep, you may not be making enough melatonin. Ingredients: A proprietary blend of superoxide dismutase, catalase and melatonin in a base of organic cocoa butter. You can learn more about Rejuvelon in the Videos section of this website. Toxic metals are one of the main causes of free radical production. 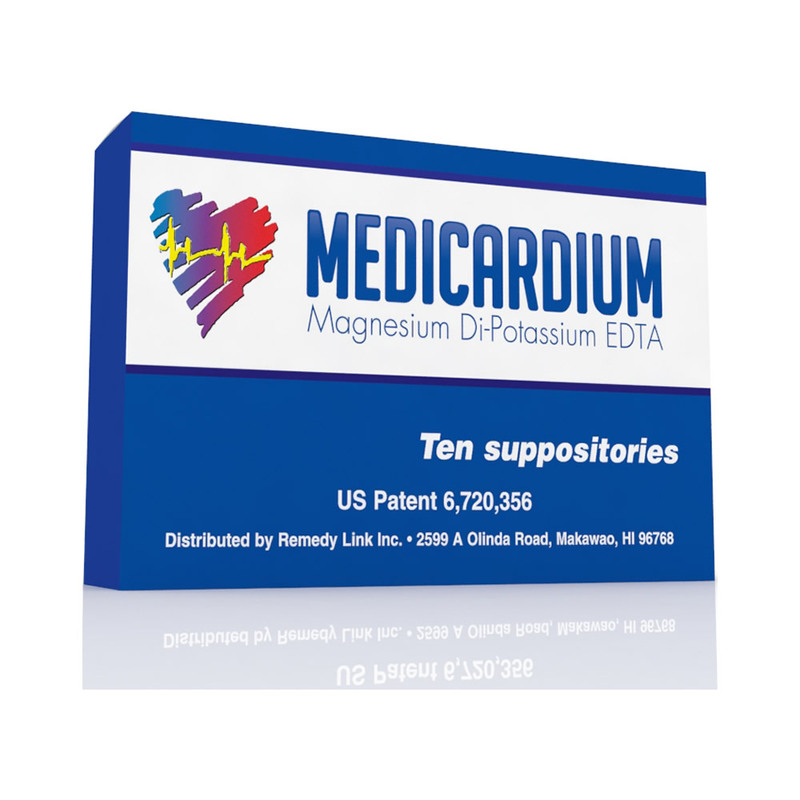 Consider adding Medicardium to your protocol. Toxic chemicals create free radicals as well. Consider adding Xeneplex to your protocol.